Let’s start with the most important event of the month, the arrival of Capucine in the team! 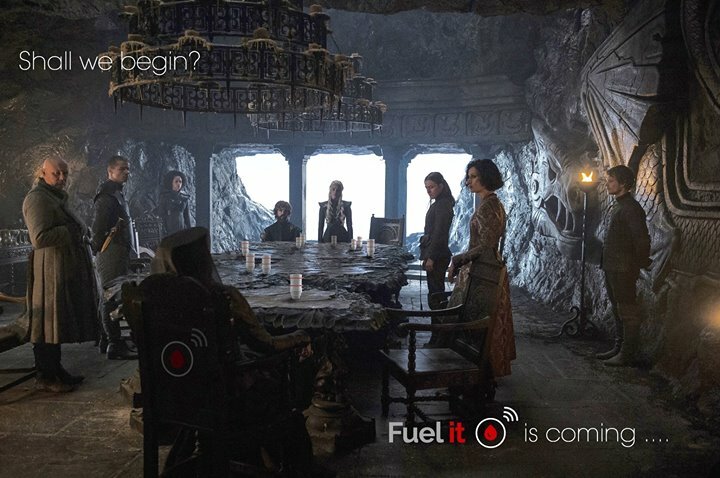 Thanks to his many talents in the field of graphics, Fuel it has taken on a new dimension! We spoil you a little bit with the next articles to come, but Capucine has even designed some beautiful kakemonos that should arrive on Friday. Another new feature with the arrival of the Capucine: Thursday’s fun image! Capucine will create, every week, a small nice image integrating the fuel it sensors. This is last Thursday’s first integration. This image will necessarily speak to fans of the Game Of Thrones series. We finally put down our first prototype! All that remains is to hope that your address receives the low frequency network, Sigfox. We have also created a small online program for you to test your eligibility! (Link in the footer of the site). We were selected for the OPEN4STARTUP Pitch contest organized by Nicéphore Cité. Nichéphore Cité talks about the results of the pre-selections in this article. We will therefore give you more news on the total result of the competition in September. Another busy month. The arrival of Capucine made us take on new colours! Excellent holidays to all those who are lucky enough to enjoy it, and see you soon for new adventures!